Once more into the breach, folks. Assembly Bill 26 resurrects this year’s failed AB 1894 by Assemblymember Tom Ammiano. Jones-Sawyer represents the 59th District of South Los Angeles. Assembly Bill 34 is a placeholder, containing a one-sentence statement of intent to regulate the state’s billion-dollar MMJ industry. Bonta represents the 18th District in the East Bay. Emerald Growers Association executive director Hezekiah Allen said the dual bills were part of special, early proceedings for the 2015-2016 legislative calendar, and their low number signifies the issue’s priority in the capitol. The two were among sixty bills introduced Monday. 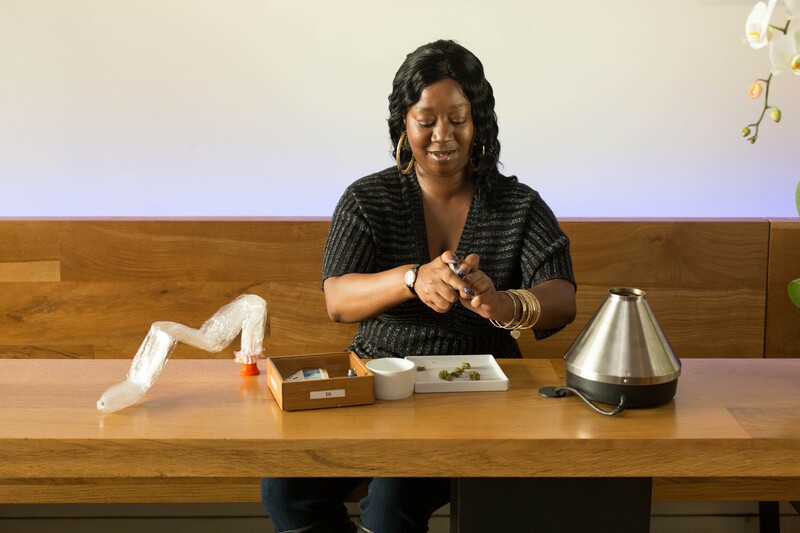 Vapor lounges (above) are among the many MMJ industry details without uniform standards in California. Eighteen years after Californians passed Prop 215, the state lacks a prescribed comprehensive program for marijuana distribution. Industry and police proposals for regulations failed in the Assembly in 2014. The legislature is under pressure to determine what state entity should be in charge of medical marijuana and how to pay for it, amid an all-but-assured 2016 legalization initiative, and local calls for more uniformity on the issue. California is the largest black-market supplier of domestic cannabis in the nation, and state residents consume an estimated 2,500-5,000 metric tons of the federally illegal plant per year. California also has the largest legal medical cannabis industry, thought to gross almost $2 billion per year. One in twenty California adults are estimated to have used medical cannabis for a serious condition, and 92 percent of them found it effective.